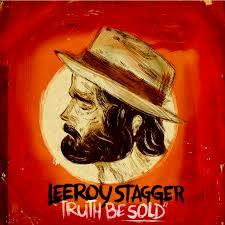 By exploring the roots of rock and fusing some exceptional guitar work with a bunch of songs that possess a stand-alone enduring quality, Leeroy Stagger has delivered an album to push the boundaries of alt-country rock. Right from the crashing chords of opener ‘Memo’ to the heartfelt strains of the fantastic closing ‘Jackie’, TRUTH BE SOLD is a high quality record. It will resonate immediately with those who approach Americana music from an alternative/indie background although there is sufficient diversity in its appeal to reach out across the genre. Once again apologies for applying the term Americana to a Canadian musician but this expanding genre is an all encompassing home for any artist willing to pursue a path of interpreting roots music in a contemporary style. Leeroy has been doing this for a number of years since being introduced to country music during his British Columbia upbringing and this release, his 9th album in a prolific decade, gets right to the heart of putting a rock stamp on such high calibre songs. For the UK promotion, Leeroy has teamed up with Clubhouse Records and this seems an excellent fit, with a similarity to some of the label’s other acts such as Dreaming Spires and Redlands Palomino Company. Their ethos of making no compromise music in a style that switches effortlessly between spine tingling acoustic ballads and vigorous up tempo numbers is true to an artist tipped to be a leading light in North American roots rock n’ roll. Apart from the fabulous closing track, the depth of his ability to touch your soul in a softening manner is experienced in the exquisite ‘Celebrity’ where gorgeous backing harmonies decorate a cautious tale of fame. 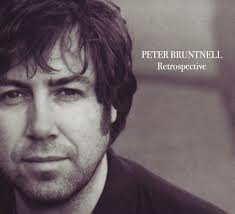 Along the same lines, ‘Break My Heart’, with its haunting pedal steel, adds a graceful touch to the atmosphere as does the temperate tones of the slightly solemn ‘Sold Me Down the River’. For the more amplified numbers ‘Mister’ is hard to top with its gritty subject delivered in an appropriate vocal style laced with an element of anger. Although the slightly anthemic ‘Cities of Fire’, with a dose indie rock, runs it close and will surely be a firm live favourite when Leeroy takes this album out on the road. The more conventional rocker, with enhanced guitar solo, ‘Goodnight Berlin’ has a solid beat and is neatly slotted in as the album’s second track after the rousing opener. ‘Have a Heart’ is another track that meets the rock criteria and drives the album towards its sensational concluding number. Of the remaining tracks, ‘ESP’ starts off slowly before picking up pace mid song while ‘The Other Half’ admittedly does struggle a little to make its presence felt amongst the multitude of impressive tunes. 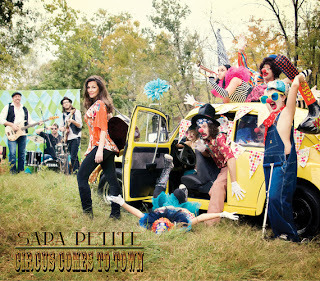 The album was recorded in Portland, Oregan under the stewardship of Grammy winning producer Steve Berlin (Los Lobos). Fellow guitarist Evan Uschenko and percussionist Nick Stecz share the writing credits with Leeroy on all eleven tracks although some of these were extracted from the vault of distant demos. 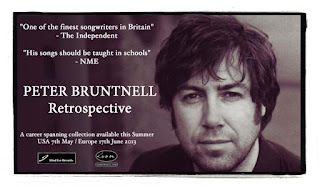 UK fans both new and existing will get the opportunity to hear this impressive record live when the full band play a series of shows throughout July. Both this album and the subsequent live shows will add value to any Americana fans listening experience. Imagine the scenario of a triple bill show featuring Natalie Maines, the Court Yard Hounds and the Dixie Chicks. Unlikely maybe but with all three entities of the ‘Greatest ever country act’ currently active, it’s not out of the realms of possibility. A new recording by the Dixie Chicks, who are headlining a series of Canadian festivals this summer, is another long shot given the recent musical direction of Maines and now the new Court Yard Hounds album but the fact Natalie, Emily and Martie are making new music is a joy to treasure. 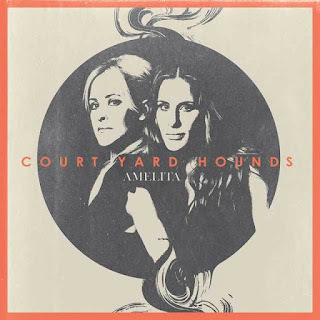 For their sophomore album under the Court Yard Hounds banner, not forgetting their pre-Natalie Dixie Chicks days, the Erwin sisters have once again turned to producer Jim Scott to successfully steer the AMELITA project to its release. Better known by their married names, Emily still keeps the famous Texan musical family name of Robison after her divorce from Charlie and has taken lead vocals on all but one of the eleven tracks. The trademark fiddle of Martie Maguire which took a little backseat as the Dixie Chicks searched for a post-incident direction is back with a vengeance and she has also stepped up her writing input with a major contribution. The renewed optimism that Emily reveals in the press release snippets is endemic to the sound of the album which breezes along with a carefree attitude. The sound is rooted in the fabric of Texan music with enough sophistication to court some mainstream or Americana radio airplay but even if the path was clear, it is not really a release to match the ideals of country radio. The prelude to the album is a four song EP release featuring the lead off track ‘Sunshine’ which sets the tone for an album packed with positive vibes. Title song ‘Amelita’ is also previewed on the EP and this well constructed effort has its rightful place as part of the outset of this album. By the time the third track ‘The World Smiles’ smothers your senses, the record’s flavour has been consumed sufficiently to leave its mark. The vocals of Emily have responded well to the responsibility of lead status and although the overall band sound probably defines the record, their presence on songs such as ‘Aimless Upward’ suggest a calling has come after years in the shadow of the charismatic Maines. Group guitarist Martin Strayer teamed up with Martie to co-write the solitary track which she takes lead vocal on ‘A Guy Like You’, a more mellow offering laced with the sound of Emily’s Dobro. 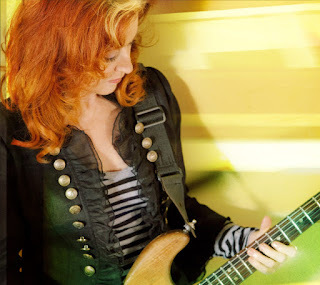 ‘Rock All Night’ ,a strong candidate for stand out track, steps up the momentum with enhanced fiddle and some fine organ work driving it along in a soulful manner. Follow on track ‘Phoebe’ is a song with a strong message that with the aid of banjo and frantic fiddle picks up its pace midway through to hurtle to a satisfying toe tapping conclusion. 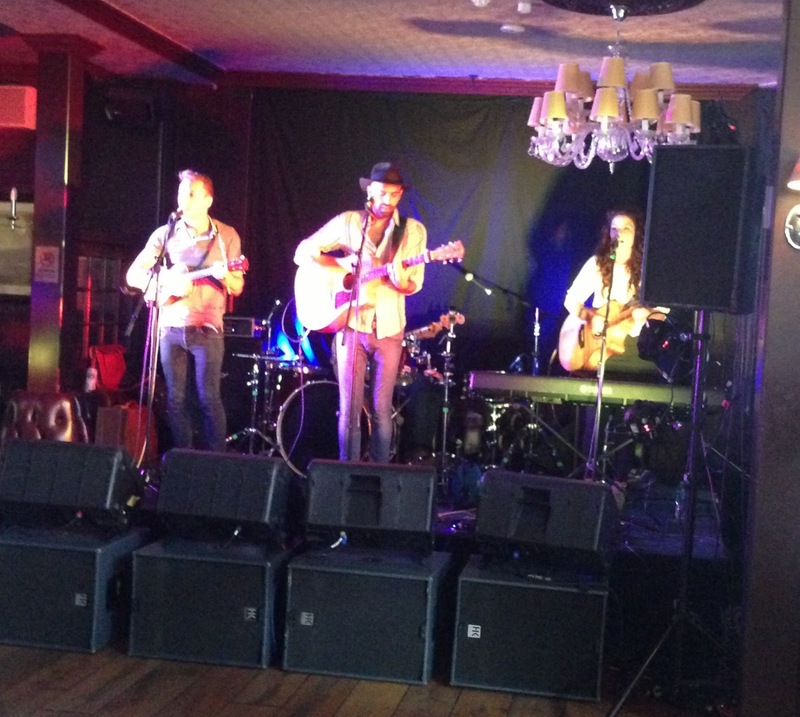 ‘Divided’ is a little bit of a bridging song between this pair of upbeat numbers and the delightful ballad ‘Gets You Down’ which with a gentle injection of pedal steel creates an atmosphere of serenity amidst a slightly sombre message. The pace contrast carries through to the conclusion of the album where ‘Watch Your Step’ paves the way for the carefully selected and parting message of closer ‘The Road You Take’, perhaps an overriding summary of the personal and musical decisions made over the last few years. With the Dixie Chicks legacy intact, the path is clear for both Natalie Maines and the Court Yard Hounds to make their independent mark. The world of country and wider Americana music is the richer for their creative presence and AMELITA is an excellent record to further the careers of Martie Maguire and Emily Robison. There are certain moments attending gigs when all the ingredients are blending so well that you wish the whole experience could be bottled and savoured for future consumption. 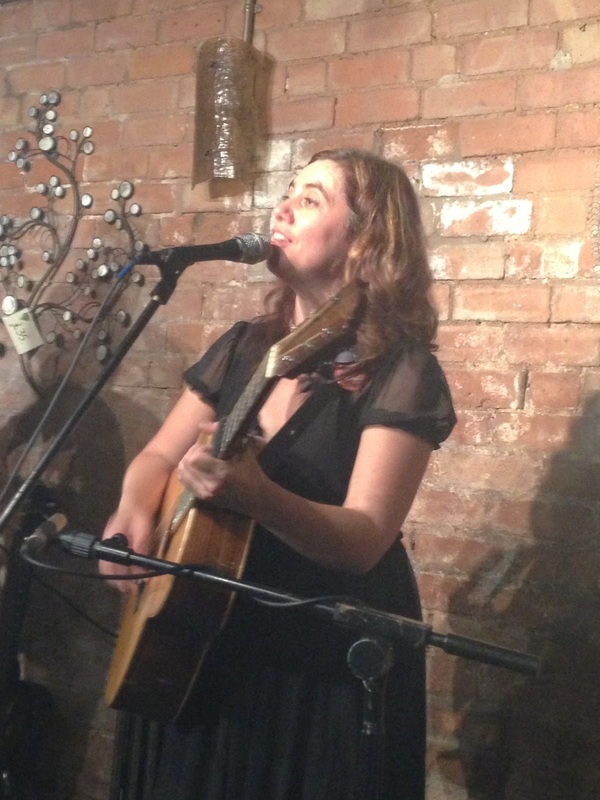 In what was certainly one of the highlights so far of this busy year, Cara Luft managed to create such a moment with her subliminal mix of high quality musicianship, enchanting stories, well crafted songs and engaging personality. When you throw into the pot the enhancing input from musical sidekick Scott Poley and the magical atmosphere of a near full Kitchen Garden Café, the desire to seek ways to capture the atmosphere intensifies. Those present will always have the memory while others hopefully can visualise and perhaps experience for themselves one of Cara’s UK shows, which are likely to proliferate in the future. 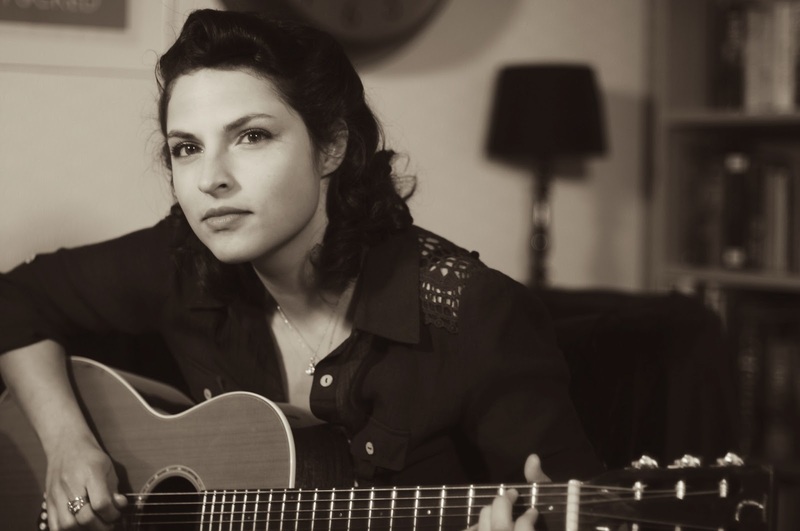 With a pedigree background from a family steeped in folk music back home in Canada, Cara has managed to evolve a sound that pays respect to the traditional song from both sides of the Atlantic. 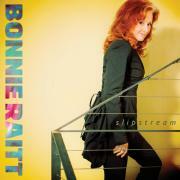 However as well as connecting with folk fans, the contemporary twist from her song writing expertise as well as banjo and guitar playing reaches out to the wider Americana fan base and you can’t go wrong with the subtle Dobro playing which Scott adds to equation. For nearly two hours, spread across a pair of sets, this value for money evening met and surpassed expectations from witnessing Cara live last year. Perhaps the only slight drawback was the absence of some new material but plans are in place to rectify this in the near future. In the meantime the fantastic album DARLINGFORD which despite only just getting a European release, has been in the collection of many of Cara’s fans for over a year, was a worthy source for most of the material populating the set list. 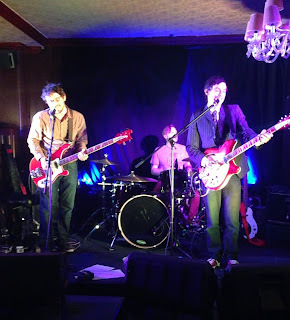 Within the first half a dozen songs, firm favourites such as ‘Idaho’, ‘Charged’ and ‘My Darling One’ were featured with the latter two subject to the first of several invited audience participations that graced the evening. Occasionally, Scott would step aside to allow Cara to take the spotlight where we could focus intensely on her musicianship especially the claw hammer banjo playing skills. 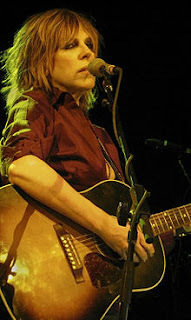 However his presence on acoustic guitar, Dobro and backing vocals took the show to an elevated level from what Cara was able to deliver solo when witnessed and reviewed last year. The jovial interaction between the duo increased after the break as tales were recounted of their German adventures and on a more sombre note Cara spoke about the background to the song ‘Dallaire’ and its relation to the Rwanda atrocities. Despite this brief thoughtful interlude, the vibes filling the brick-walled venue echoed with an air of positivity, best exemplified on ‘It’s Gonna Be Alright’. Those Kitchen Garden Café regulars attracted to its traditional offerings were delighted with ‘The Ploughboy and the Cockney’, of which Cara proudly enthused that her version is only accompanied as a recording with one by Maddy Prior, and the slightly re-arranged ‘He Moved Through the Fair’. Americana enthusiasts, who associate Cara via her tenure as part of the Canadian super group The Wailin’ Jennys, could relate to the imagery of her description and adventures from travelling either side of the 49th Parallel as well as a vocal style that varied from classical folk to a slight twang more commonly found in our visitors from across the pond. The parting shot from this excellent show is the mouth watering prospect of some of Cara’s future projects including the ABC of Canadian Music with Awna Teixeira from Po Girl and Brandy Zdan from Twilight Hotel, along with some promised new recordings. If either of these matches the high standard of both this evening’s gig and the DARLINGFORD album then we are in for a real treat. 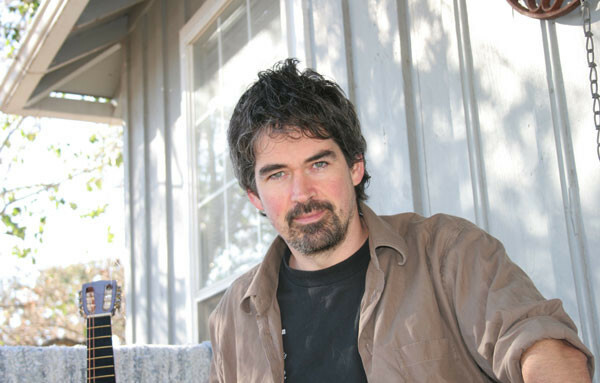 As a story telling songwriter, Slaid Cleaves is up there with the greats of his adopted home state Texas. Over the last decade a series of masterful albums have originated from the pen of Slaid who ventured south west from his Maine origins around twenty years ago and has also been keen to expand his horizons overseas with a multitude of visits to the listening venues of the UK. STILL FIGHTING THE WAR is another highly engaging collection of songs from the fiercely independent Slaid and over the course of its 45 minute duration, your mind will be enriched by an artistic exposure to some of the issues surrounding contemporary America. While much of the album’s focus is on the opener and title track ‘Still Fighting the War’, where Slaid has teamed up with Texan legend Jimmy LaFave to tackle the thorny issue of post conflict trauma, attention is immediately drawn to two tracks co-written with Rod Picott. Both ‘Rust Belt Fields’ and ‘Welding Burns’ were originally standout tracks on Rod’s 2011 album named after the latter. With Slaid and Rod being long term friends from their shared north eastern background, it is no surprise that there is a strong nostalgic feel to these two songs. In fact the theme surrounding ‘Rust Belt Fields’ could almost be a soundtrack to the current economic dilemma facing the West with a drain of wealth and resource flowing uncontrollably towards the emerging world. 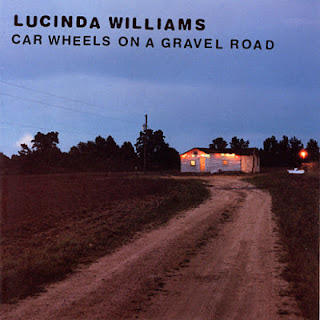 The collaborations arranged on this excellent album strengthened specific songs with Harmoni Kelley McCarty featuring on ‘Whim of Iron’ and the acclaimed Eliza Gilkyson adding value to ‘In the Rain’. 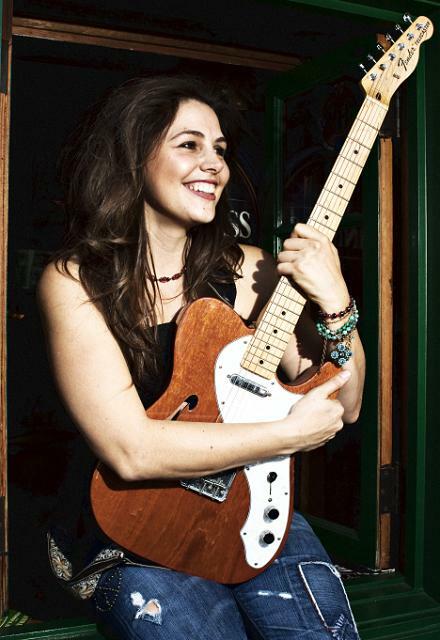 One of the albums most ear pleasing tracks ‘Texas Love Song’ has a vocal contribution from Terri Hendrix and is a wonderful yet slightly quirky homage to the Lone Star State. Texas is also name checked in the follow on track ‘God’s Own Yodeller’, a vocal exercise which Slaid partakes in from time to time and thus immerses himself further in the musical culture of the west. High spots from the remaining tracks include’Go for the Gold’, a delightful gospel effort which is drenched in an emotional and uplifting country sound and has the potential to become a popular staple of Slaid’s live shows. ‘Hometown USA’ gives you a pure dose of real deal Americana and invites you to peer into the world of destiny for its characters. However each of the thirteen tracks whether supported by simple acoustic or with a fuller band sound, carry the trademark lyrical excellence of Slaid and demand your unrelenting attention to soak up their comprehensive nature. There is no particular structure to this record and it will be equally effective on shuffle, although the closing ‘Voice of Midnight’ does have an exit feel to it. In fact you can mix and match any of Slaid’s recent releases and the seamless song writing strength will weave them all together in a concoction of real life imagery. 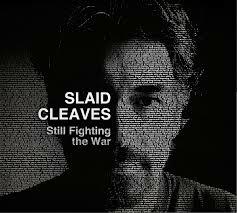 STILL FIGHTING THE WAR is business as usual for Slaid Cleaves and you get the feeling there is still half a lifetime of well crafted perceptual songs still to come. 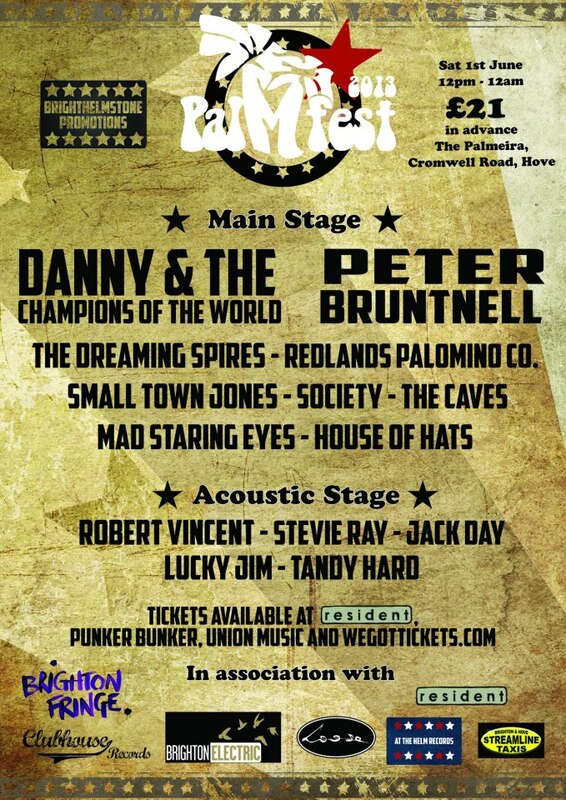 With such a splendid name, you could only ever associate a band called Gas Food Lodging with Americana music. The iconic sign liberally sprinkled across the freeways, highways and interstates of the USA had its slogan captured in celluloid with the 1992 movie of the same name and several years earlier alternative rock band Green on Red used it as the title of their 1985 album. It is the chain reaction from that band which brings you to the present day. 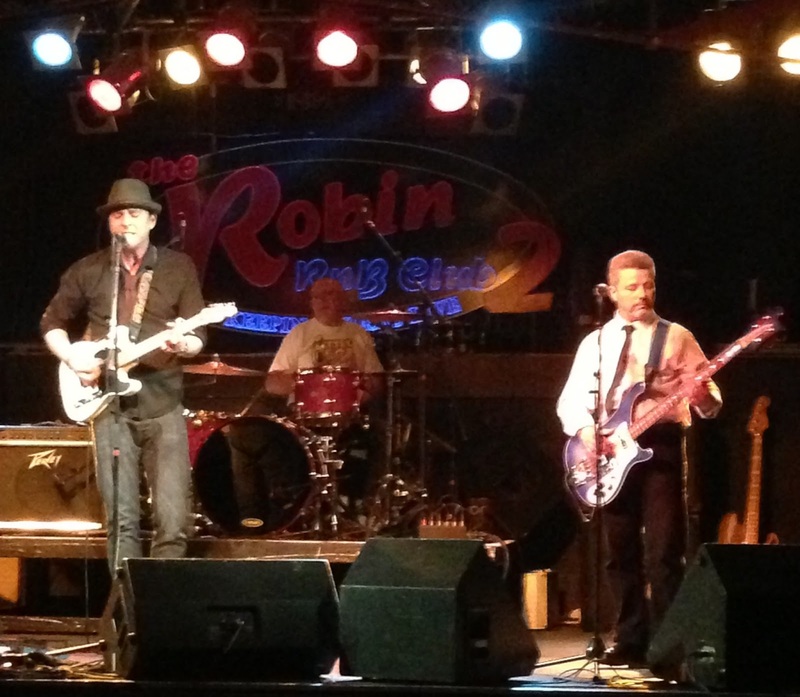 Since their formation in late 2012 when Dave teamed up with veteran drummer Pete Robinson, who has a wealth of country rock experience, and bassist Pete Taylor, Gas Food Lodging has set about establishing themselves on the Midlands gig circuit. 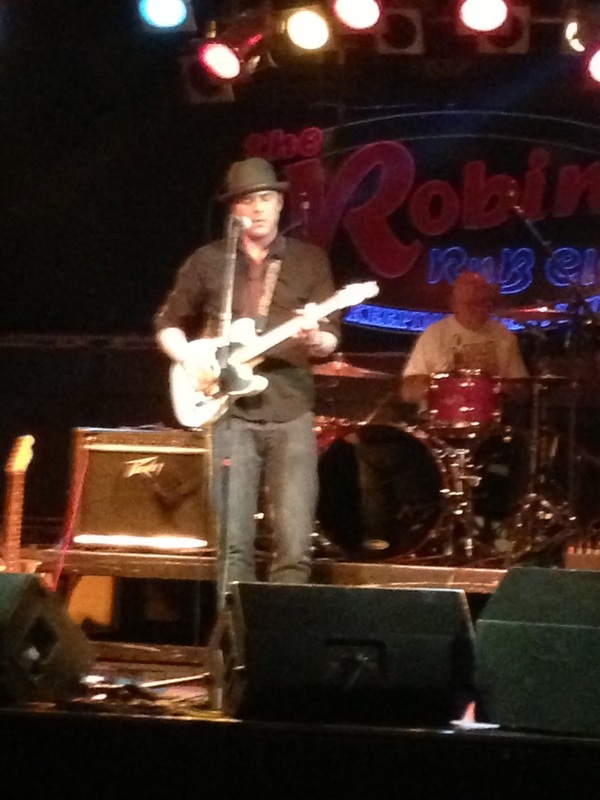 This latest support slot alongside popular local blues rock artist Ian Parker at the Robin 2 in Bilston was an opportunity to show their talents to a sizeable midweek audience. Although eventually the aim must be for singer songwriter Dave to introduce more self-penned material into the set, all but one song performed on this evening was a cover and from the sources you would expect knowing his influences. After opening with a version of Ronnie Self's 'Waiting for the Gin to Hit Me' the band then went on a Chuck Prophet spree with a pair of tracks from his solo career and two Green on Red numbers. The latter, 'Time ain't Nothing' and 'Two Lovers (Waitin' to Die)' were unfamiliar to me but came across well. 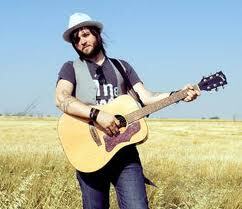 On the other hand the two Chuck tracks were also sung by the acclaimed US alt-country rocker in his recent gig. 'Left Hand and the Right Hand' is one of the standout tracks from the TEMPLE BEAUTIFUL album while 'You Did' is a very popular Chuck Prophet live number. To the band's credit all the versions of these songs had merit and paid the utmost respect to the original. To conclude this fine bands's short set, Dave introduced the audience to one of his original songs 'Too Much' which reflects on the impact of technology today before completing their warm up slot with a version of Dylan's 'Forever Young'. 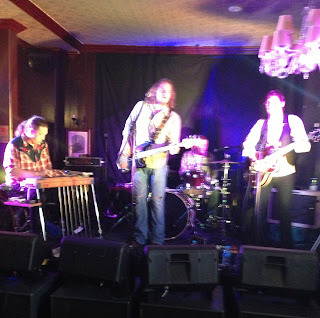 As with all songs played during the set, the band impressed with the neat co-ordination of bass, lead and percussion while the clear vocals ensured the quality of the songs was conveyed to the attentive and appreciative audience. It's early days for Gas Food Lodging but if they work on some more original material, the potential is there to develop the band and add impetus to a Midlands Americana scene. A keen eye will definitely be kept on this group in the future. Following the heartfelt story of their destined meeting many years ago in Lubbock, Texas, it was no surprise that The Kennedys finally paid tribute to their hero Buddy Holly with the closing track of the pre-encore second set during this evening's gig. 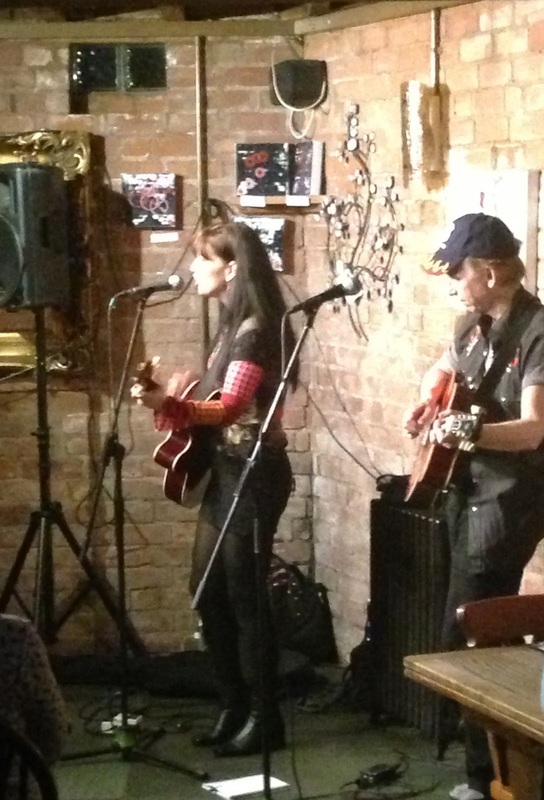 However before the New York based duo delivered a storming version of ‘Not Fade Away’ to climax their ‘Eight Miles High’ guitar medley, a sizeable Kitchen Garden Café crowd was treated to an excellent interpretation of Americana music. The duo of Maura and Peter Kennedy are no strangers in Birmingham due to their association with the shows of Nanci Griffiths, and the Kitchen Garden Café welcomed a few first time visitors who will hopefully return to the venue in the future. Over the duration of two hours, those present enjoyed a comprehensive collection of The Kennedys music, best summed up by the graceful vocals of Maura and the proficient guitar playing of Pete. This included a combination of carefully selected covers and some fine original material, the latter main focussing on the new album CLOSER THAN YOU KNOW. From this latest release, the duo performed the joyous number ‘Happy Again’, ‘Cradle to a Boat’, ‘I’ll Come Over’ and possibly the best of this quartet aired during the evening, ‘Marina Dream’. 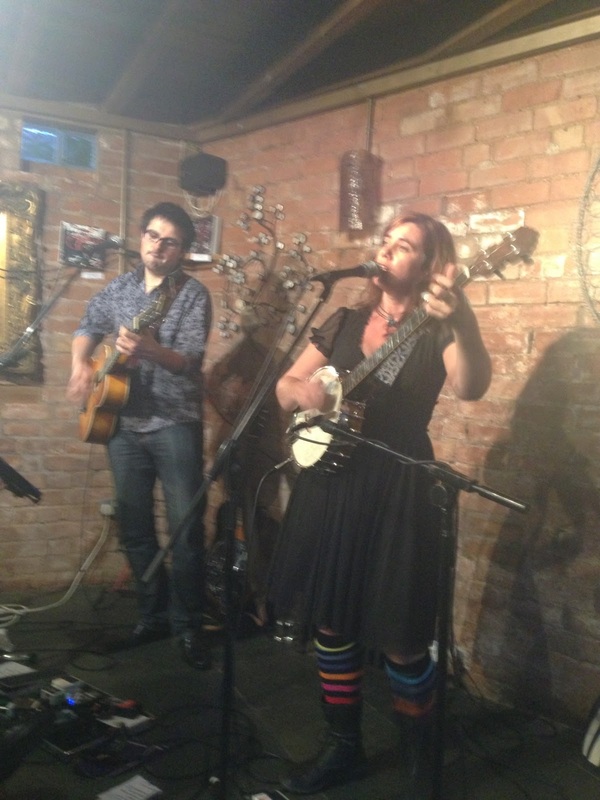 Copies of the new album proved popular purchases during the interval as well as last year’s RESTROPECTIVE which is a concise collection of the duo’s finest material. Old favourites such as the requested ‘River of Fallen Stars’ ,the re-collection of that Lubbock meeting many years ago ‘Half a Million Miles’ and Maura’s fantastic Patsy Cline styled ‘Shadows with the Lonely’ were all well received. As well as their masterly self penned songs, The Kennedys are very keen to celebrate the work of other songwriters to the extent that they issued a whole album of covers SONGS OF THE OPEN ROAD in 2006. That album was represented mainly in the second half when they performed a cracking version of the late Dave Carter’s ‘Gypsy Rose’, a John Stewart song titled ‘Jasmine’ and also adding another notch to the growing 2013 list of Gram Parsons covers with the ever popular ‘Sin City’. The country of their hosts was not forgotten with the traditional song ‘Matty Groves’ getting The Kennedys’ folk treatment and the fab four’s ‘A Day in the Life’ gracing the two song encore segment. 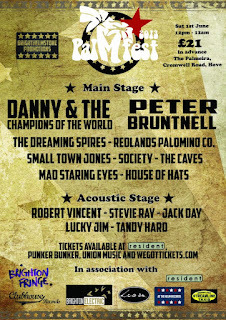 In line with the term ‘Americana’ decorating their promotional leaflet, The Kennedys deliver a truly eclectic brand of music reflecting country, bluegrass, folk, rock and the Bossa Nova style as in the New York inspired number ‘9th St. Billy’. Like so many songs performed during this enchanting evening, an entertaining tale acted as a prelude to its playing. No singer-songwriter show would be complete without these anecdotes, with Pete and Maura’s extensive industry experience providing a fertile source for such added value. 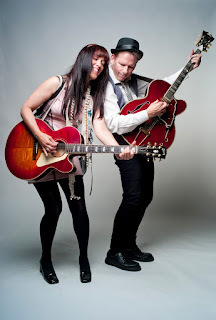 By the time the humble and highly appreciative duo crowned their performance with the thoughtful, all or nothing – multi religion gospel song ‘Stand’, both existing and new Kennedys fans had been treated to an exemplary exhibition of Americana music. Nights like these are precious and the duo left a favourable impression which many present would no doubt like to re-live in the not too distant future.